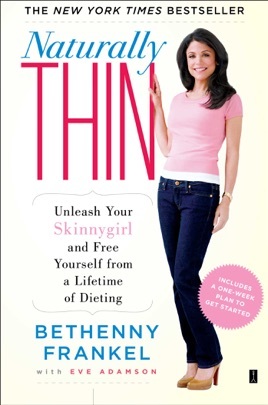 From four-time New York Times bestselling author Bethenny Frankel, the book that started it all: Naturally Thin. 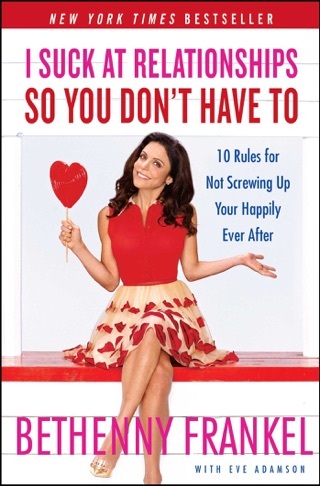 Bethenny Frankel, talk show host, “Queen of Cocktails,” and “Mommy Mogul” has always had a passion for preparing and enjoying healthful, natural foods and sharing that love. 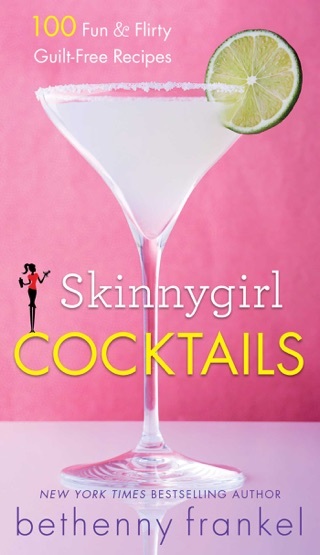 With more than thirty simple, delicious recipes (including her famous SkinnyGirl Margarita), a one-week program to jump-start readers on the Naturally Thin lifestyle, and warm, witty encouragement on every page, Frankel serves up a book for a healthier and thinner life. 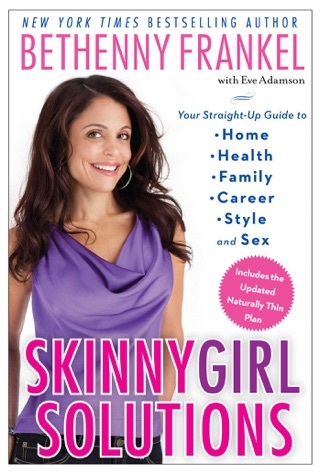 Best known from reality TV (The Real Housewives of New York City), "natural foods chef" and entrepreneur Frankel wants unhappy dieters to know that everyone is "naturally thin," they've simply got to change some habits and learn "to think like a naturally thin person." 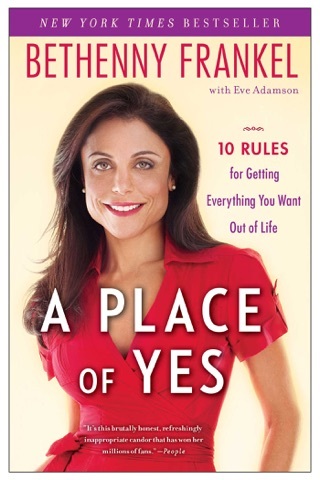 The bulk of this self-help is devoted to ten rules, each outlined in a friendly but no-nonsense chapter. 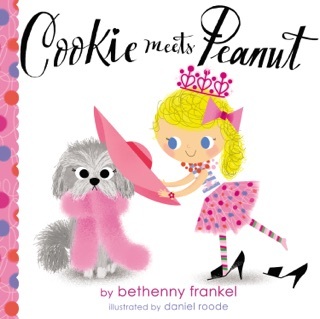 Rooted in Frankel's own struggles ("twenty years suffering through diet hell"), her rules include some familiar ideas smartly recast ("Your diet is a bank account" is a personal-finance gloss on "you are what you eat") and each has a couple recipes attached (Banana Oatmeal Chocolate Chip Cookies, Stuffed Portobello Mushrooms). Much of her advice, however, boils down to eating less: other chapters look at moderation, mindful eating and portion size, with some helpful guides to measuring and eyeballing (though it's hard to see why "Downsize Now!" and "Cancel Your Membership in the Clean Plate Club" require separate chapters). A detailed 7-day starter plan fills out the volume. Fans of Frankel's televised adventures will likely be charmed by her strong, direct voice, and her brassy self-regard is nicely tempered by a we're-in-this-together camaraderie. This book is really great and it really changed my life. It has fixed my marriage and brought my family of 6 sisters together. We all grew up overweight and ashamed. We were teased by the skinny girls and laughed at by the jocks. It really hurt our confidence and self esteem, but thanks to this book I discovered my Inner Skinny and that I am beauty just way I am. I read this book several years ago. At that time, I did not know who Frankel was. But after reading this book, I fell in love! Not only does she give amazing tips and advice to being healthier, but I found her ‘tough love’ approach and authenticity super refreshing and inspiring. Definitely recommend.